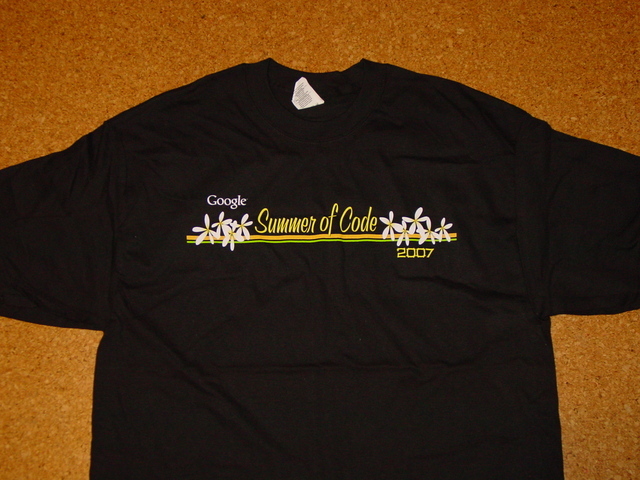 Being honoured to mentor Shane Matthews on his GSoC 2007 project Impress OpenGL rendered transitions, I today received the mentor gift – thank you Google for the tshirt! On related news, the resulting CWS got recently merged to HEAD, so those of the adventurous kind can now build this as an optional feature: just issue “build ENABLE_OPENGL=TRUE” in the slideshow module to be blessed with an ogltrans shared lib. And thanks to Rene, after CWS configure22 is integrated, one can even give “–enable-opengl” on the configure line. After that, register the ogltrans lib into OOo via unopkg, and use this presentation file to see what others are missing.